On 25th October 2016, the Government’s National Citizen Service Bill was debated at Second Reading in the House of Lords. 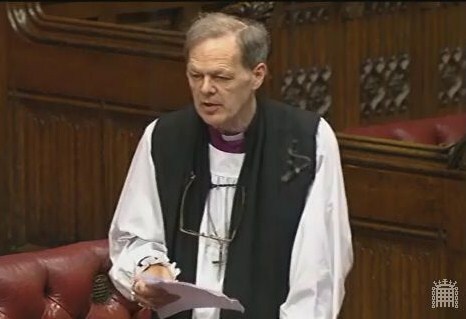 The Bishop of Portsmouth, Rt Revd Christopher Foster, supported the Bill, and talked about the desirability of widening access to the National Citizen Service. The Lord Bishop of Portsmouth My Lords, I too welcome and support this Bill, not only because of the impact, actual and potential, on building the confidence and contribution of participants but also for its intention to both formalise and improve the accountability and functioning of the NCS. It may seem obvious for us to support a scheme with such clear aims to encourage young people to engage with their communities and take responsibility for their transformation, and one that claims some positive impact on community cohesion. The Lord Bishop of Lichfield: My Lords, will the Minister join me in congratulating the young people highlighted by the I Will campaign, who have so ably demonstrated the impact that young people can have in transforming their own communities? Lord Nash: I entirely agree with the right reverend Prelate. Active citizenship is an essential part of the citizenship national curriculum and all students should have the opportunity of participating in volunteering. On 1st July 2014, Liberal Democrat peer Lord Storey asked Her Majesty’s Government what plans they have to encourage educational establishments to take part in National Voter Registration Day 2015. The Bishop of St Albans, the Rt Revd Alan Smith, asked a supplementary question. 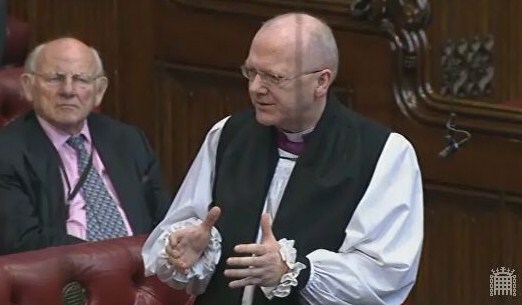 The Lord Bishop of St Albans: My Lords, the Question is about encouraging educational establishments to encourage a whole new generation of people to engage in the electoral process. Of course, next year is a hugely significant year, with the 800th anniversary of Magna Carta. Can we not only encourage our schools to use this as an opportunity to really inspire people to think about civil participation, citizenship and so on but find some imaginative ways to give people the information in the educational packs that will be used next year? Lord Wallace of Saltaire: My Lords, certainly. We trust that the churches will play their own role, and perhaps we will have mentions in sermons of civic duty and what one should render unto Caesar as well as unto God.